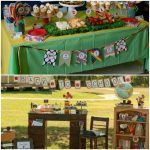 Looking for some easy craft ideas for summer? You’re in luck! 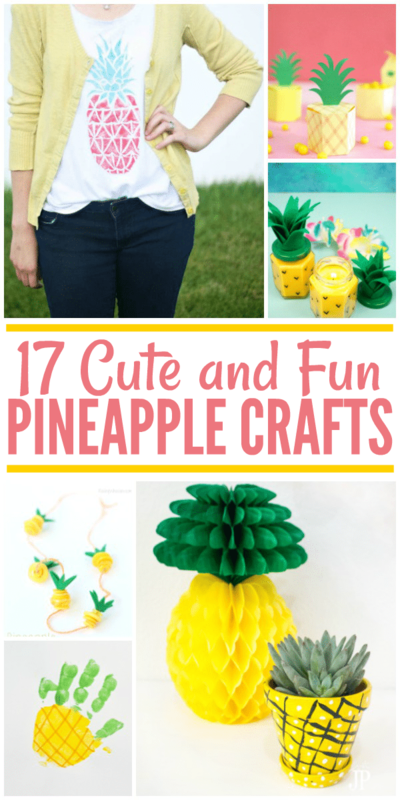 We’ve found 17 of the cutest pineapple crafts for you to try. 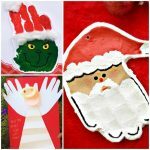 Whether you’re an expert crafter or just looking for an easy project to decorate your home or give as a gift, you’re going to find an amazingly cute and creative idea here. Here’s something you may not know about me: I love pineapples. I don’t mean that I like pineapples now and then. Nope. I mean, I could eat pineapple every day for the rest of my life and never get bored. 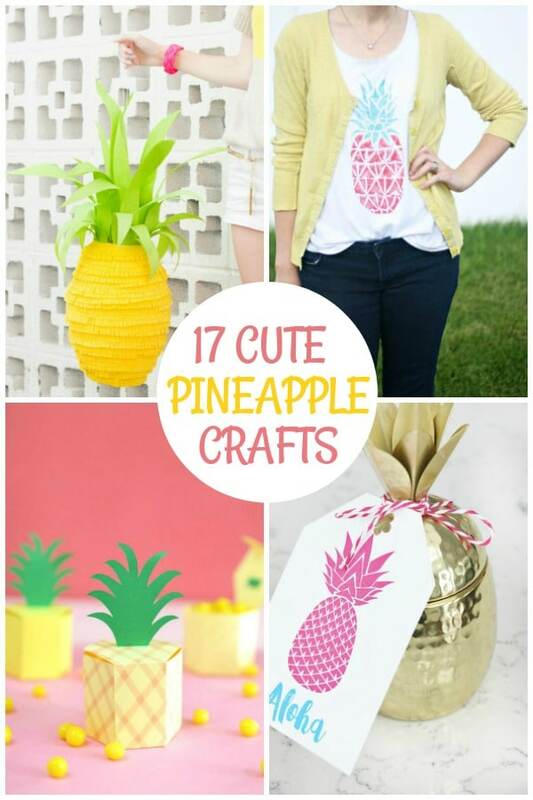 Not only do I love the flavor, but these DIY pineapple projects are just so darn cute! I’ve found several that I plan to put on my summer to-do list. Which one catches your eye? 1. Pineapple Corner Bookmark | Red Ted Art – Who can resist a cute little bookmark to mark their pages as they read? Don’t get me wrong… I love Kindle books, but nothing takes the place of holding a physical book. 2. Pineapple Doormat | Lydi Out Loud – Dress up a natural welcome mat with a pineapple stencil. The perfect way to welcome summer to your home! 3. Pineapple Necklace | Raising Whasians – I know this necklace says it’s for kids, but I’d totally rock this myself during the summer. It’s gorgeous and one of our favorite pineapple crafts! 4. Pineapple Planter | Today’s Creative Life – This little succulent planter will look absolutely adorable poolside. It’s also a great way to add some color to your office while you’re dreaming of your upcoming vacation. 5. Pineapple Handprint Craft | It Happens in a Blink – Whether you homeschool or are just looking for a fun summer craft for kids, this P is for Pineapple handprint craft is absolutely adorable. 6. Pineapple Pinata | Studio DIY – Make this gorgeous pineapple pinata for your next summer get together. It doesn’t even have to be a party… Pinatas are fun at cookouts and barbecues, too! 7. Stamped Pineapple Tee | DIY Candy – I’m absolutely obsessed with this! I can’t believe the stamp was made with a takeout box. If there’s ever a shirt you need before summer vacation, it’s this one. 8. DIY Pineapple Box | Persia Lou – Cute wedding or shower favors. Fill them with yellow candies or dry out some pineapple for a healthier spin! 9. Pineapple Gift Tags | The Crafting Chicks – Add one of these gorgeous printable tags to a pineapple-themed gift. You can never have too much pineapple, right? 10. Be a Pineapple Shirt | Simply Darrling – Stand tall, wear a crown, and be sweet on the inside… like a pineapple! Love that sentiment! 11. Pineapple Mason Jar | Cutefetti – This would make such a cute centerpiece for a luau themed party! 13. Pineapple Gift Box | That’s What Che Said – These are a little larger than the favor boxes listed above, and they’ll make a big splash in summer. 14. 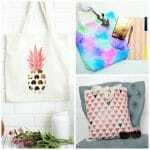 Pineapple Drawstring Bag | Make It Love It – If you’re not afraid of a little sewing, this drawstring pineapple backpack is an adorable little bag for kids. 15. Pineapple Pumpkin | All for the Memories – If you live in a warm area, maybe you’re just not in the Halloween spirit when October rolls around. Put your own spin on pumpkins! These pineapple pumpkins are simply adorable. 16. 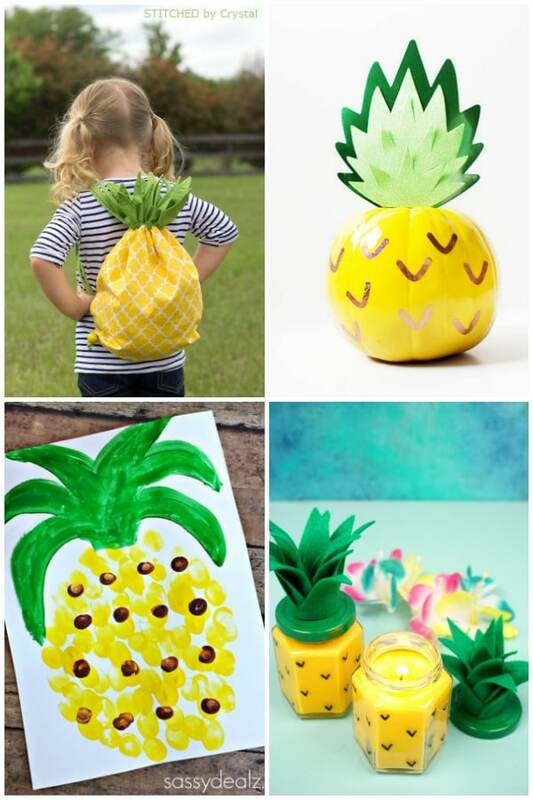 Fingerprint Pineapple | Crafty Morning – Here’s another goodie for the kids: a fingerprint pineapple so you can remember just how tiny those fingers are. You won’t always see those fingerprints all over your windows, after all. 17. Pineapple Candle | Happiness is Homemade – What a cute way to dress up an ordinary yellow candle! What a fantastic resource! 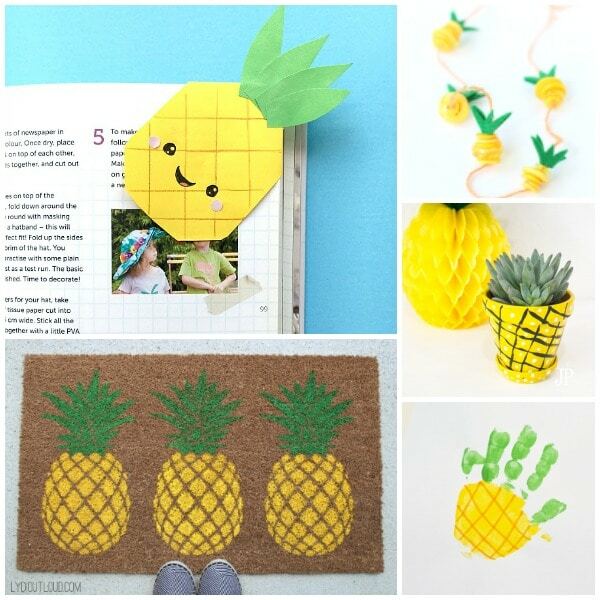 Thanks for including our pineapple bookmark! YAY! Oh my goodness, I love these pineapple ideas! 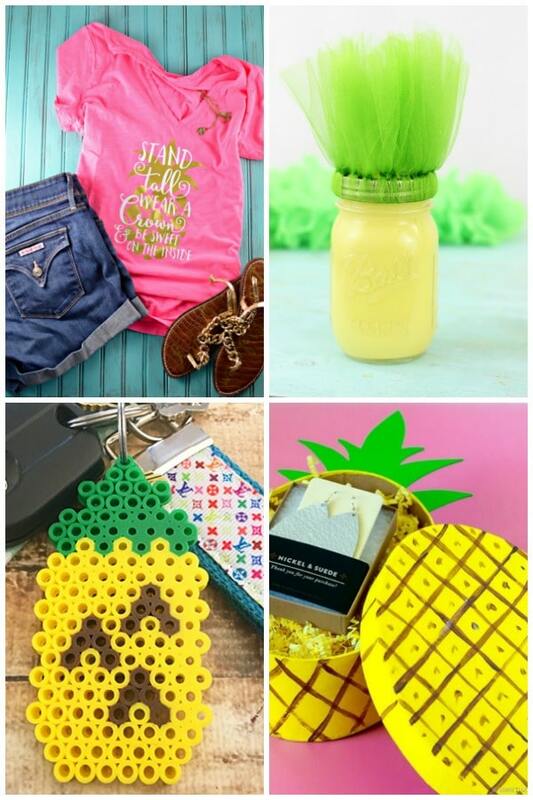 Thanks for including our pineapple keychain in the mix! You’re so welcome. It’s adorable!